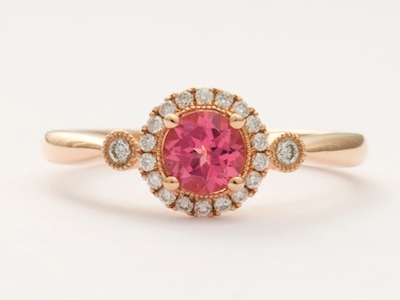 Like a strawberry moon, this vintage style engagement ring's pink spinel bathes the finger in a rosey glow. 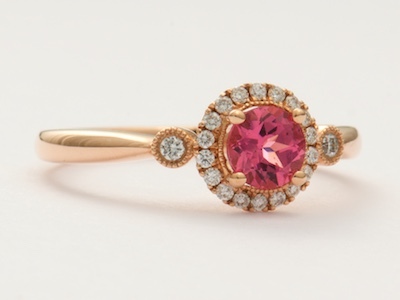 An array of diamonds spins around the gemstone and pinpoints the shoulders of the rose gold band. Mille grain trim surrounds both the spinel and these accenting diamonds. 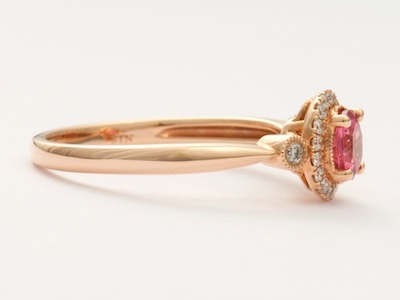 A rose gold band serves as the final romantic touch. Details: New. Vintage Inspired. 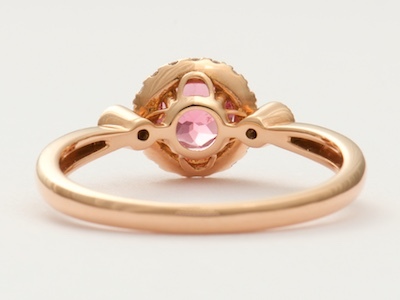 14k rose gold. Round brilliant cut diamonds; 0.09 carats. 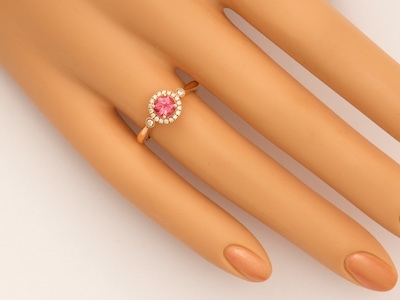 Pink spinel; 0.54 carats. Other notes This engagement ring pairs beautifully with wedding band style RG3711 which may be purchased separately. 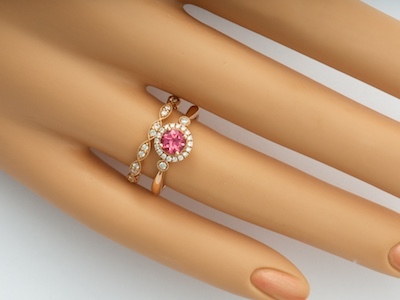 The engagement ring is shown with the band in one of the photos.